Families can celebrate some silly and not-too-spooky fun this fall at Busch Gardens Williamsburg with The Count’s Spooktacular. 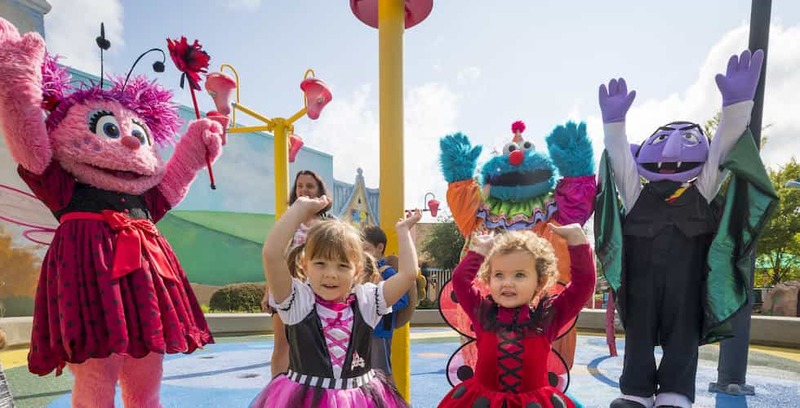 Every weekend in October, children ages 9 and younger are invited to dress in their spooky best to enjoy an all-new show, “Count’s Countdown to Halloween,” dance parties and parading with their favorite Sesame Street characters through the end of the day before the serious scares of Howl-O-Scream begin. Trick-or-treating, family activities and kid-friendly rides will be available for guests to enjoy during the event. Halloween decorations will be set up during the daytime, but the dim lighting, fog and scare squad will not take over the park until 6 p.m.
No masks or props are allowed as part of guests’ costumes, and face painting will be available to jazz up any outfit. The event runs from 10 a.m. to 5 p.m. each Saturday and Sunday in October, from Oct. 7 – Oct. 29, and is included with regular theme park admission. For more information on The Count’s Spooktacular, visit BuschGardensWilliamsburg.com.